After a fitful few nights’ rest I’ve been hitting the net in search of natural ways to encourage some precious sleep. So it seemed fortuitous when I heard about today’s offer from The Body Shop, part of their 30th Anniversary Celebrations for the month of July. 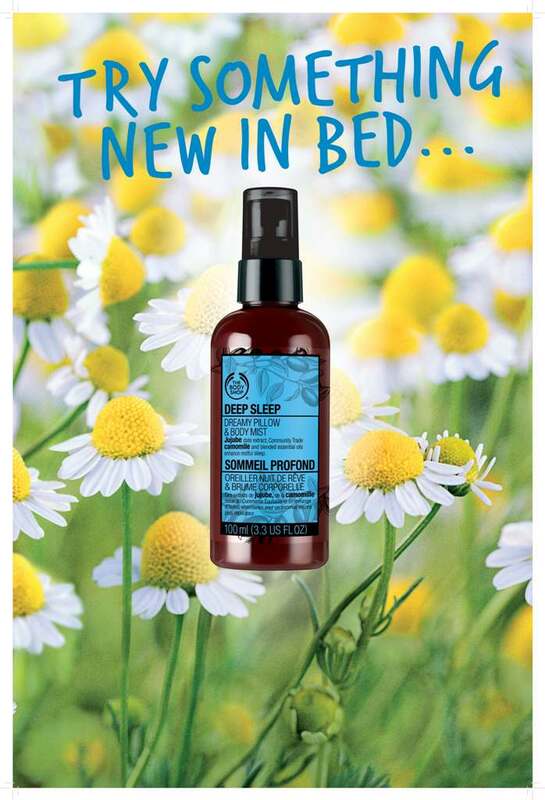 Each day they ‘ll be treating us to 30% off a particular product and today, and today only, it’s this Deep Sleep Dreamy Pillow Mist, billed as a quick drying soothing mist to help users drift off to a peaceful and restorative night’s sleep. Sounds dreamy to me! RRP €15.95 – on offer today for €11.17. I hope this deep sleep dreamy pillow mist will help me sleep. How can you resist a 20% Off discount. I'll definitely get one for myself. if your having trouble sleeping. fast using the best OTC natural sleep aids.